24 Commercial Real Estate & Properties in Cessnock are listed in 5 categories. We have 10 Retail ShopsSale & Lease , 9 OfficesSale & Lease , 2 Medical and Consulting PropertiesSale & Lease , 2 Industrial Warehouses Sale & Lease and 1 Development LandsSale & Lease . Excellent Commercial Opportunity! $58,000 pa + GST + Outgoi.. Located in the heart of Cessnock’s main street, 135 Vincent Street has a total floor area of 860m2. The opportunity to find a large premises in the prominent position of Vincent Street doesn’t come up all too often. This shop is surrounded by many reputable businesses such as the Commonwealth Bank, Rouge Beauty Therapy and ANZ Bank just to name a few. With its large, glass shop front your business won’t be missed, smaller spaces are available call now to find out more. . . . Key features • Off street parking • Toilet facilities • Prime location • Freedom of design • Kitchenette • Rent incentives available . First Floor Office From $9,000pa + GST + Out.. 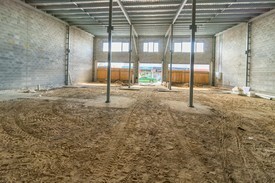 This office space is approximately 63m2 and would suit any growing business. 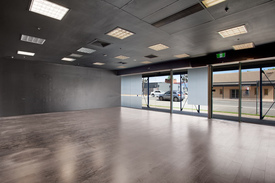 The premises comprises of four spacious rooms, which can be utilised to suit a vast array of different occupations (STCA). . With its prime location in the heart of Cessnock’s CBD, your business will take advantage of the high inflow of pedestrian traffic. Key features: • Air conditioned • NBN service available • Toilet facilities • Prime location • Off street parking .